Error during parsing time property. The time property is null. The property which was defined as a time provider is: TIME. The Event timestamp property of the Real-Time Data shape is configured to use the event time instead of the system time. In the Real-Time Data shape, select the System time as the time stamp provider for your events. 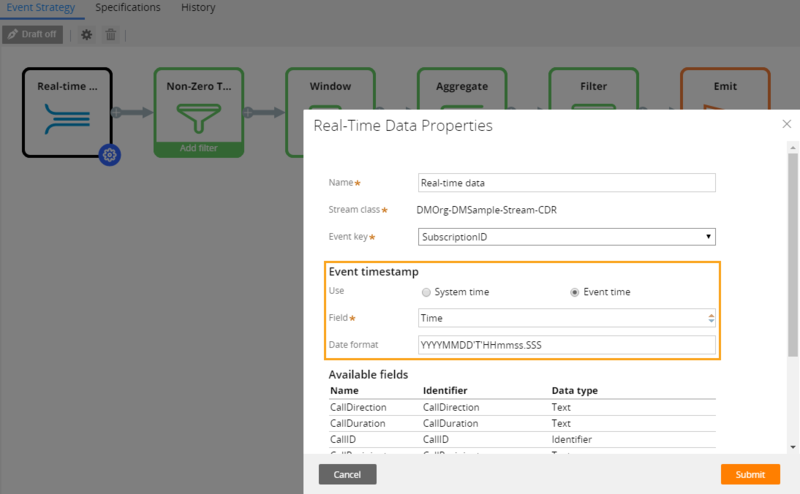 The name and format of the event time stamp property in the event records must correspond to the Field and Date format properties that are defined in the Real-Time Data shape in the event strategy.